If you are a homeschooling family in Canada, then you probably already know that Canada has some of the most favourable homeschooling laws in the world. Since education falls under provincial jurisdiction, the laws vary from province to province. Each province except Ontario requires that homeschooling families inform the local school board of their intent to homeschool each school year. Some provinces require that homeschooling plans be submitted to the local superintendent of education (Alberta, Saskatchewan, Manitoba and Prince Edward Island). Just one province (Manitoba) requires the submission of two annual progress reports for each homeschooled child. In each province, the laws or policies indicate that under circumstances where there is evidence that a family may not be providing satisfactory instruction at home, the Ministry of Education has the right to proceed with an investigation. While no family wants to be the subject of an investigation, there is no reason why it has to be scary or arduous. With a few preparations, you can easily handle any questions about your children’s academic progress. If your province requires you to register with the Ministry of Education or to submit educational plans, do it. A little paperwork is a pretty good trade-off for the right to provide home-based learning for your child. It’s like having the right to drive: you have to follow the rules of the road, hold a valid licence, and buy insurance. Following a few rules can actually be a ticket to freedom. Every day, record a short description of your family’s activities. You can just use a regular wall calendar with squares big enough to write in. Keep your notes short: Baked cookies. Playgroup at Withrow Park. Piano lessons. Went to Science Centre. Library. Made papier-mâché jack-o’-lanterns. If you ever have to prove that your children are learning history, science, or social studies you will have a handy reminder of all the different ways that your children learn. 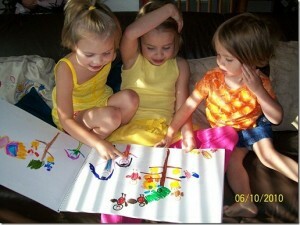 It can be overwhelming to keep every piece of art or writing that your children produce. Instead of keeping everything, consider photographing some very good examples of their work at least once per month. Be sure to date the work or to use the date stamp on your camera. Another thing I do is to give my children spiral-bound art pads to do their drawing and printing in. As each book is completed, I write the date on the front and toss it into a huge plastic bin in the storage room. If I ever needed to show evidence of their work, it would be available. If an official from the Ministry of Education is in your home to determine if your children are being educated, don’t volunteer information that is not specifically related to their intellectual development. In other words, even though it is perfectly normal for you that your 4-year-old is still breastfeeding or that you share a family bed with your four children, it might not seem so normal for the person doing the investigation. Also, avoid discussions of vaccines, homebirth, natural healthcare, or other topics that are none of the investigator’s business. Become of a member of your local homeschooling support group, even if you don’t intend to attend any events. Some groups, such as the Ontario Federation of Teaching Parents, require a small annual fee, but in exchange they will give you support or legal advice if you are ever in need. In Canada, your right to provide home-based learning is guaranteed. In fact, it is also guaranteed by the Universal Declaration of Human Rights, Article 26(3): “Parents have a prior right to choose the kind of education that shall be given to their children.” If you should find yourself dealing with an investigation, don’t approach it as if you have something to hide. You are providing a unique and special opportunity for your child and no one should ever make you feel that you are doing something subversive or reprehensible. If your child has any type of exceptionality that might make it hard for him or her to experience success in a traditional school setting, be sure to make your family doctor aware of it. Update your doctor regularly on your child’s progress or limitations. It never hurts to have a second opinion that supports your approach with your child. Our family doesn’t live in constant fear of being investigated for not sending our children to school, but it is something we’re aware of and we take some precautions. Is there anything you do to protect your right to homeschool? Patti lives and learns with her four children and partner in Toronto, Canada, where she practises radical unschooling, authentic parenting, and urban homesteading. She blogs about her adventures at Jazzy Mama. We are a homeschooling family of 6 living in nys. Near buffalo and heavily considering relocating to Canada. Thank you for this post. Any advise u may have would be greatly appreciated. Here in ny we have to submit a host of paperwork. Beginning of the school year ihips (individual home instruction plans) 4 quarterly reports and an end of year assessment. This year at least one of my girls has to take ny standardized tests. I’m concerned but not thrown. Thanks so much for great info. This is a huge help! We are a homeschool family with 3 children, we have homeschooled for 6 years now. We live in Georgia but are heavily considering relocating to Canada! We are a Canadian family looking to enrich our children’s lives by traveling the world more and would like to home school our children to allow us to do this. Does anyone know if we can do that? You certainly can! We support home schoolers around the world and provide programs for them if they are traveling, in sports, the arts, etc. Please someone help me! I am in Canada, Ontario and the school distract board is telling me it is illegal for me to homeschool my 3rd grade daughter. I always sent the intent form and now this woman I spoke to says, it is illegal. Hi I will be relocating to Canada next summer and thinking of homeschooling my son who will be starting HS next year any resources for High School home considering home school? Many parents home school their students through high school. It is not the most chosen path, but it certainly can be done. Check out the various provincial conventions held in the spring – and make contact with the vendors and other home school high school students and graduates. To which province are you thinking of relocating? There are many, many resources for homeschooling highschool – plenty of curriculum suppliers, correspondence, long distance and virtual learning sites, highschool co-ops run by parents, provincial vocal/instrumental/debate/quizzing groups (Ontario – not sure about the other provinces). 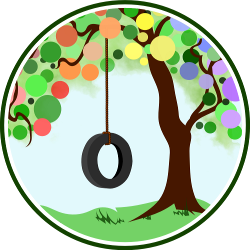 OCHEC (ochec.org) provides a way of connecting with home schoolers and home school chapters in Ontario, as do other provincial support groups for their provinces. The Learning House runs Homeschooling through high school seminars in Ontario. We intend to relocate to Canada late this year. I have three daughters homeschooled for almost three years now. Are there other requirements we need to prepare to get an approval from the superintendent of education. Each province has its own laws, regulations and policies regarding home education. By going to the appropriate provincial website you may find the information you are looking for. I am intrested in homeschooling my kids and I was wondering if I need a registration of some sort for it to be legal. Could you please provide some background ? Are they currently enrolled in a public school? Which province are you in ?The paperwork required differs from province to province. This article is extremely helpful to me as it confirms what I had been saying about my right to home school my children. Since October of 2014 I had been told by the Ministry of Children and Family Services that I had NO right to home school my children and I had been stating that I do. I thank you for this article. hi, just stumbled across this, we homeschool our children and live near Canada in NYS, we hope to relocate there within three years and this post provided a lot of reassurance that the way we do things here can carry over to our life there. I will love to read more of your posts.